I just need to curl up, and as it happens I have a ton of reading to do for this book proposal I’m working on. Plus, it’s wicked cold out there (TM people in Boston). 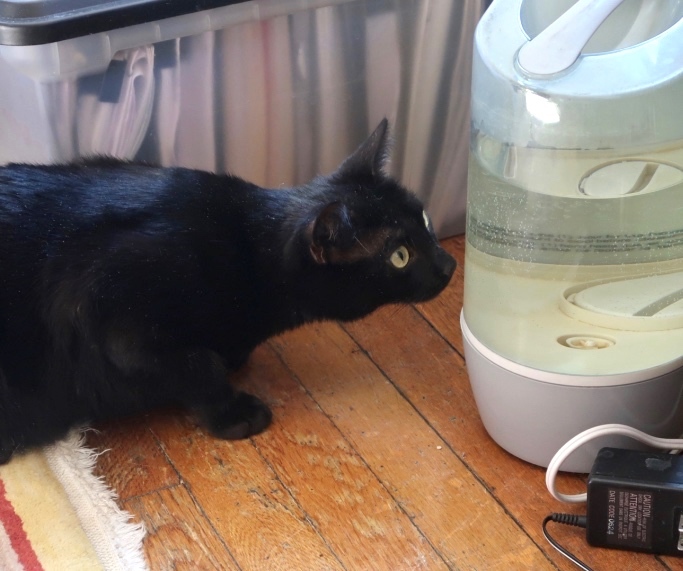 Bodhi is sure there is something in the humidifier that he wants. Every day he tried to knock it over (which he can do, but I’ve got blockers in place now).